Dear Customer, as of 1st May, we will no longer be supplying plastic bags. 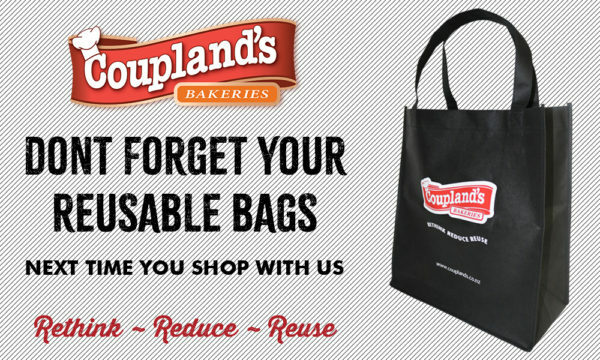 Coupland’s is committed to doing our part in reducing plastics and offering alternatives to carry bags and packaging. We thank you for your understanding as we work through the different options available.